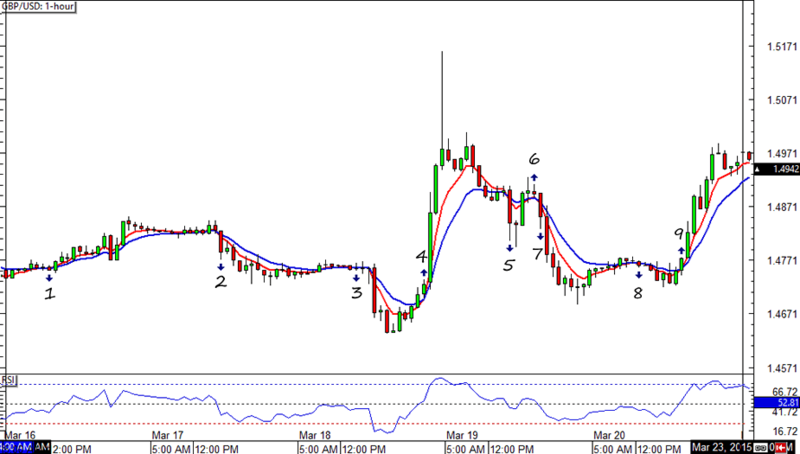 A pretty good forex trading week for the HLHB Trend-Catcher System, as it gained pips from both EUR/USD and GBP/USD. Woohoo! 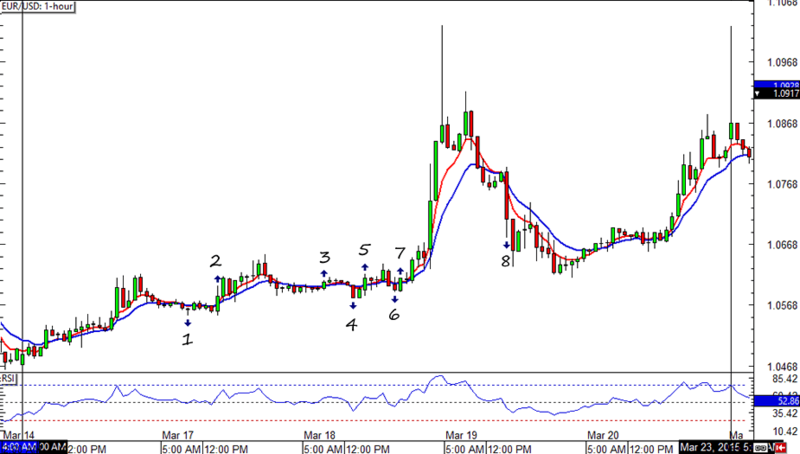 EUR/USD was in a choppy mood all week so I would not have been surprised if the system had lost pips on EUR/USD. Luckily, signal #7 caught the pair’s FOMC statement spike. In fact, the signal hit its profit target and yielded 200 pips. Woot! The gains were enough to offset EUR/USD’s fakeouts, enough to end the week with a net of 193 pips. Yay! Much like in EUR/USD, GBP/USD also popped up a lot of fakeouts. Also like in GBP/USD, the system was able to catch the spike from the Fed’s statement. It even caught a cool move near the end of the week, which is probably why the system caught a net total of 446 from Cable. Virtual high five to the pip gods!